The first event for the Younger Vets sub-committee was highly successful. About fifty people of all ages bowled together under beautiful weather and enjoyed afternoon tea and drinks in the Member’s Bar. 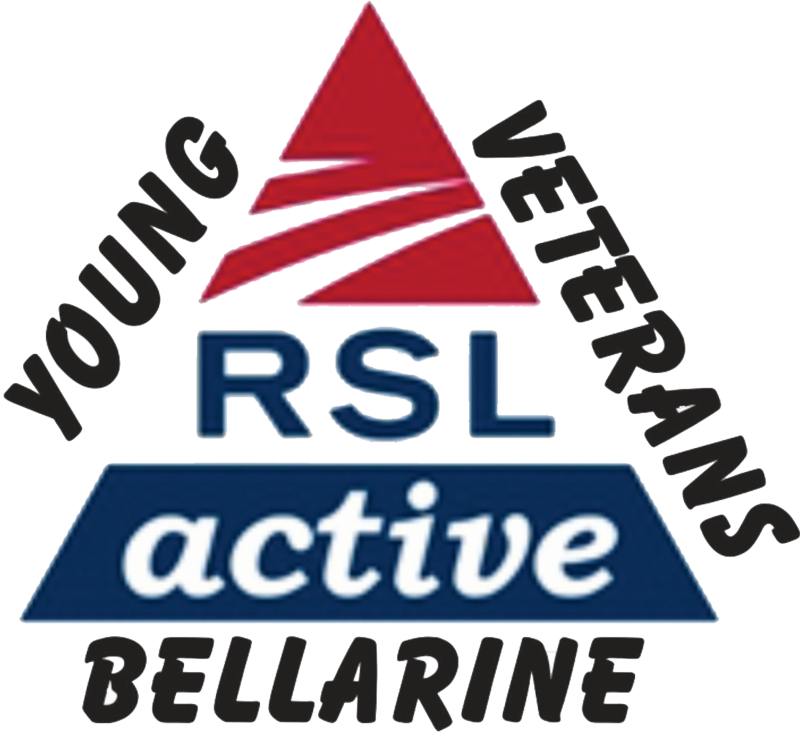 Information was collected regarding preferences for future events and a few people requested RSL membership forms. Our president thanked all for attending and assured them that the RSL was here to support all service men and women. Our next event is a coffee chat at Mr Grubb’s – 10am on Wednesday 27th February. Ocean Grove Bowling Club on Mon 15 October 2018. 1. Opening: The Chairman opened the meeting at 1400 hrs. 5. Business arising: an update was provided on the Research program and the Honour Wall. 6. It was noted that Brendan Lloyd had been converted to a Service member. a. Treasurer’s: a copy of the report was provided and the Treasurer pointed out the salient issues. There were no questions. c. Appeals: David Wilkinson provided an update on the stock and status for Remembrance Day appeal. There will be a shortage of the new $30 special poppy. Overall an attractive new array of merchandise with the knitted $10 a standout. The DVA posters for this year are also much improved. Boxes will be commenced this week. d. Appeal Rosters: Peter Cail was happy to announce that apart from 1 vacancy the rosters were full. He thanked all volunteers and the View Club ladies. e. Ceremonial: in the absence of the Ceremonial Office, the Secretary provided the outline and timings for Services on Sun 11 Nov at 1045 hrs for both Ocean Grove and Barwon Heads. g. Pensions: Bob Scott was welcomed back. Kirsten Dillon reported she was halfway thru her Pension course. 9. New Business: the very poor attendance at the VV Day was mentioned. An update on the barefoot bowls day for young veterans on 18 Nov was provided and the President briefed the meeting on the Xmas Luncheon on Fri 7 Dec.
10. Next Meeting: will be on Mon 19 Nov at 2pm. 11. The meeting was closed at 1430. We had a most entertaining address from Phillip Edwards on hiking across the UK from the Irish Sea to the North Sea. 1. Opening. The Chairman declared the meeting open at 1400hrs. 4. Previous Minutes. D. Gilroy outlined the major points from the previous minutes. 5. Business Arising from the Previous Minutes. Nil. a. President’s Report. K. Arnott advised Membership stood at 201.
b. Treasurer’s Report. A copy of the Treasurer’s Report for July was provided. could not make a donation or purchase merchandise. clash with the Farmer’s Market being held concurrently. Saturday 3 November and continue until 10 November. The Roster Sheets for the Appeal are attached. g. Public Relations. Nil to Report. h. Pensions. Nil to Report – Member absent. access to records from World War II onwards. Plants in locations for Remembrance Day. 10. Closure. There being no further business the Chairman declared the meeting closed at 1430hrs. President’s Report. D.Gilroy advised that Membership stood at 201 with one new member. Treasurer’s Report. A copy of the Treasurer’s Report for July was provided. Ceremonial:Approximately 50 people attended the Vietnam Veteran’s Day Service. There was no clash with the Farmer’s Market being held concurrently. Younger Veterans. Richard Lewis provided a list of outcomes from the meeting held by the Younger Veterans Sub-Committee. Outcome 1 – Sub-Committee agreement to hold a Barefoot Bowls day for Younger Veterans and their families on either 18 or 25 Nov. The Executive agreed in principle but would like a breakdown of expected costs. R. Lewis and S. Payne to meet with the OGBC to ascertain this detail. Additional budget will also be required for advertising. Outcome 2 – Sub-Committee agreement to employ a paid Part Time Event Coordinator. The Executive agreed in principle but would like further detail on the duties and expected cost (hours and hourly rate). Note: S. Payne has volunteered to take up this paid position. Outcome 3 – Sub-Committee agreement to use Social Media and local Newspaper to promote the Barefoot Bowls day. J. Dickinson to investigate a Facebook Page for the OGBH Sub-Branch and opportunity to promote the event via an article in the ‘The Voice’. R. Lewis to investigate option of advertising the event on RSL Connect Facebook Page and through the RSL Active Program. Outcome 4 – Sub-Committee agreement for B. Clancy to investigate holding a Guest Speaker Night for Younger Veterans with the suggested guest speakers being Stephen Wells and Patrick Dangerfield. Executive agreed in principle but noted the event would be a better fit in 2019. Outcome 5- Sub-Committee agreement to have a way ahead beyond the Barefoot Bowls Day. Suggested activities were: Coffee Mornings, Range Shoot, BBQ, RSL Active Water Based Program and Indoor Bowls. Executive agreed to proceed with the planning of a Coffee Morning(s). Outcome 6- Sub-Committee agreement to consider holding a Xmas Lunch at Adventure Park or the like for Younger Veterans and their families. Executive noted the short time to Xmas and suggested that any investigation should be based around Xmas 2019. Outcome 7- Sub-Committee agreement on a donation for the purchase of a Companion Therapy Dog through the Defence Bank Foundation. Expected cost could be as high as $7,500. Lewis and B. Clarke to ascertain total cost. Executive agreed in principle but would like to know the full cost before endorsement. Suggestion that recipient should be located in Area 8a. Armistice Grant. David Gilroy advised the Armistice Grant had been approved and a total of $13,637 would be provided. This was well below the amount request ($20k). Additional funding would be sought from Council. The funds will be used for a Memorial Wall behind the Cenotaph and will contain the names of those who gave their lives and enlisted from Ocean Grove and Barwon Heads. Remembrance Day. Gilroy noted that the State Elections are being held in November and this may impact attendance by local MPs. Next Meeting. The next Committee meeting is scheduled for Monday 17 September 2018 commencing at 1400hrs. There being no further business the Chairman declared the meeting closed at 1424hrs.